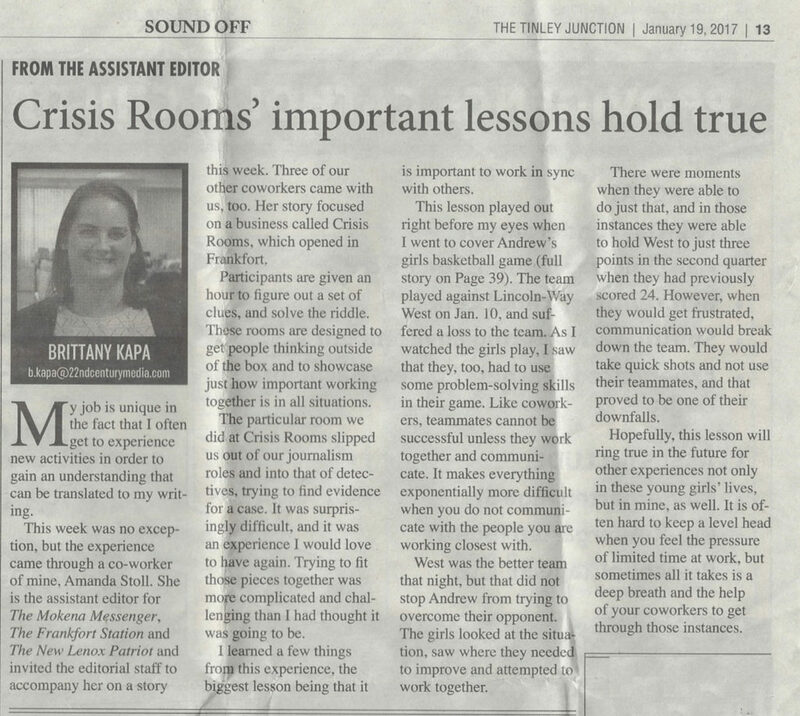 We would like to thank the Tinley Junction newspaper and the assistant editor for the article they published about Crisis Rooms on January 19th. We are so glad you guys could come out and that you had a great time! We hope to see you again soon!